A few days back I posted that I was on the mend. After two hours in the doctor's office today, I found out I have an upper respiratory infection and a sinus infection. Antibiotics, nasal spray and a few other prescriptions later. I am finally posting my daily post. I have not been this exhausted in a long time. I know what I need to do is just stay in bed and eventually it will get better. However I am not a "stay down" type of person. I am behind on all my normal duties and I miss seeing my friends. I have missed out on so many fun events the past two weeks. Here's hoping these meds work and I am back to myself ASAP! You may have a day or two of no recipes from me. So today I am just giving you a quick simple idea. All you need is one potato, 1 tsp canola oil, a grater, and a waffle maker. Yes, that is right, I said a waffle maker. With a paper towel, squeeze out water from the potato. 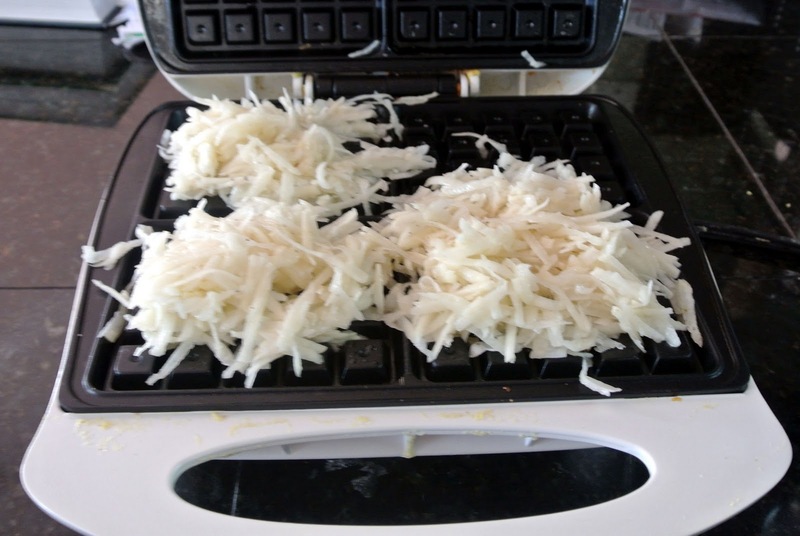 Mix 1 Tablespoon canola oil with your potato and put the shredded potato mixture on your heated waffle maker. 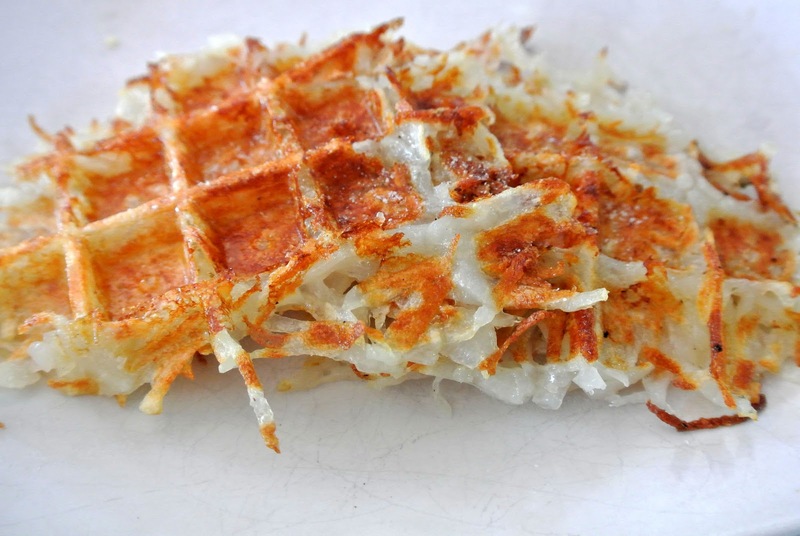 Crisp, perfectly cooked gluten free hashbrowns for your morning breakfast.